Both versions are meant to slip in a MacBook vertically, and come in Midnight Blue, Saddle Brown, or Black. 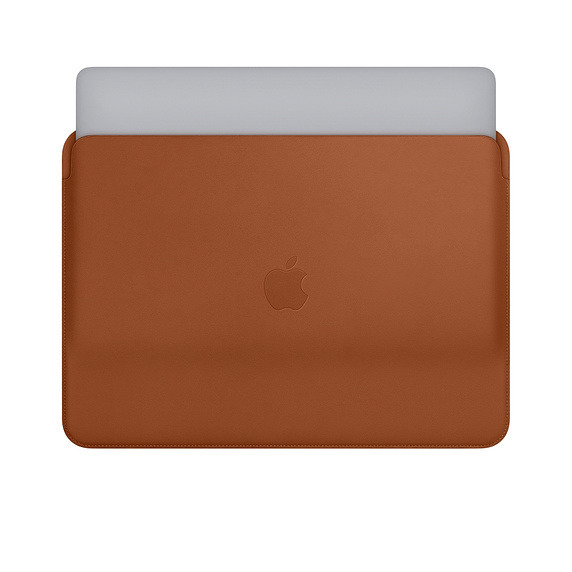 Apple has produced leather MacBook sleeves before, but only for 12-inch MacBooks. The 13-inch Pro Leather Sleeve costs $179, and should ship starting next week. 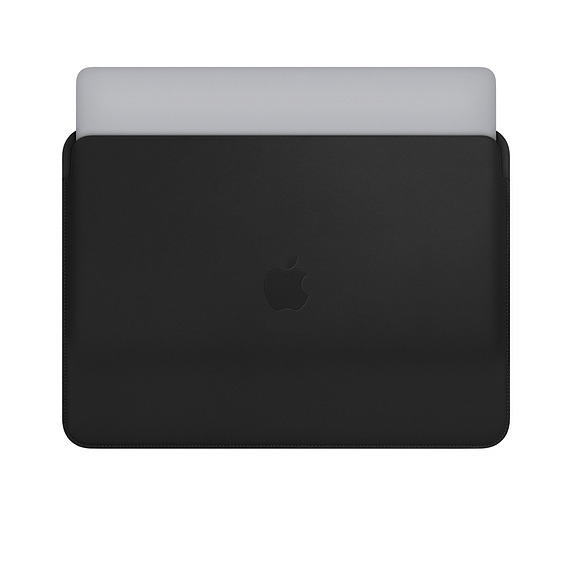 The 15-inch Sleeve has been announced but isn't yet on Apple's website. The new MacBook Pro line supports configurations with six-core processors and up to 32 gigabytes of RAM. Apple also promises a quieter keyboard, and on some models a True Tone display that matches ambient light color. New 13-inch Pros start at $1,799 for a 2.3GHz quad-core i5 model with 8 gigabytes of RAM and 256 gigabytes of storage. 13-inch systems start at $2,399 for a 2.8-gigahertz quad-core i7 with 256 gigabytes of storage and a Radeon Pro 555X GPU.